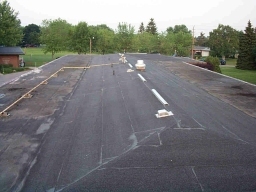 To get the "full story" on the condition of most flat roofs, our services have many advantages over other methods. 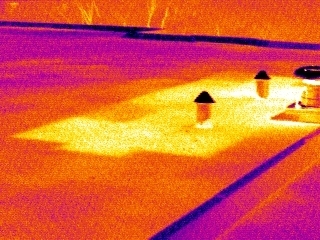 Moisture damaged roof sections are actually seen and identified without question. Moisture tracking can be located and leak causes can be found. 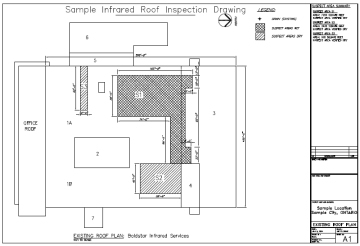 The roof is not damaged or even touched by the infrared inspection equipment. 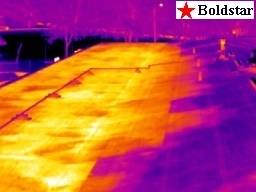 Non-contact damage reports are acheived providing valuable information to the roof owner or consultant. Moisture damage is not visible to the naked eye. 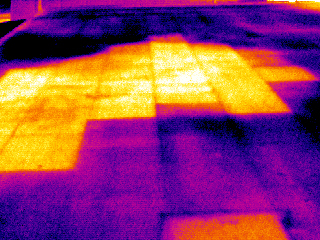 Moisture infiltration sections are clearly visible. 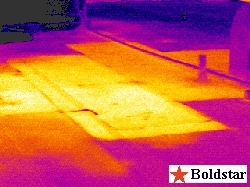 See wet insulation boards under surface.